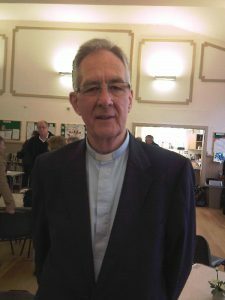 Moderator of the General Assembly of the United Reformed Church Revd David Grosch-Miller visited St Columba’s on the weekend of 23-24 January. After the Burns Night on the Saturday, David led worship on Sunday morning. The Moderator came with words of both encouragement and challenge. The church needed to find a way to continue to be faithful and to celebrate what had been achieved in the past, whilst changing to meet the needs of the present and future. He urged us to draw on God’s promises to bring about a new age, with hope and joy. Over coffee in the church hall after the service, David took part in a wide-ranging question and answer session. In response to a question about ministry, he explained the system whereby ministers were deployed, and acknowledged that family ties can sometimes prevent ministers from moving as far as they otherwise might. 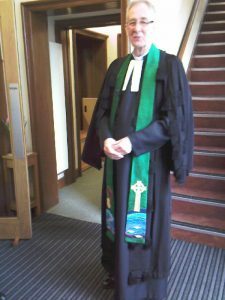 He regretted that the URC is often ignored by the media, but spoke positively of the ecumenical working with Methodists, Baptists and the Church of Scotland through the Joint Public Issues Team. The URC is engaged in public life, and does speak on matters on which it has a settled view. He offered the example of the Presbyterian Church of Taiwan (which he had visited during his moderatorship) where a minority church was able to serve the whole country through holding large events and running schools and hospitals. The UK should continue to exercise Christian values, but the church needed to acknowledge that its position in that society has changed. 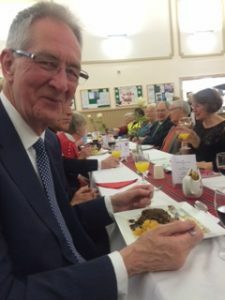 Asked about the future of the United Reformed Church, he pointed out the difficulty for all organisations in planning many years ahead because of the pace of social and technological change. 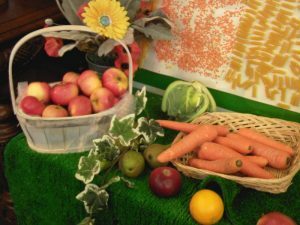 There seemed to be little appetite for organic union between denominations, but there were opportunities for churches to work together or unite locally. 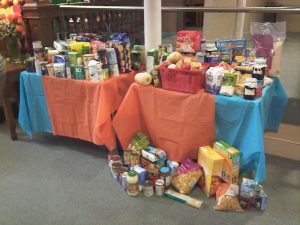 The style of church was changing in respond to changing society with fresh expressions of church such as Messy Church and café church. Greater diversity, informality and use of social media, and new ways of learning were coming to the fore. David concluded by encouraging the church that even small acts can have significant effect. 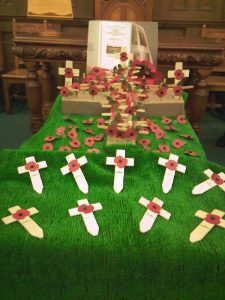 As part of our morning service on Sunday 8 November, we brought forward poppy crosses in memory of church members who had been killed in the two world wars. 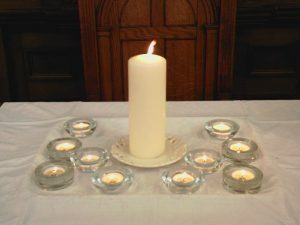 The service was made up of a series of short readings and reflections by several members of the congregation, looking towards the ultimate vision of a peaceful world in Isaiah 9. 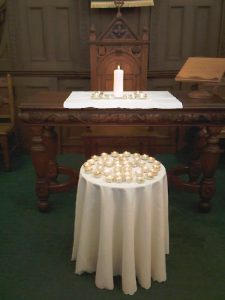 All Saints’ Day fell on a Sunday this year, and so our morning worship on 1 November included a remembrance of the saints who have gone before us, and in particular dearly-loved members and friends of our church who have passed away. 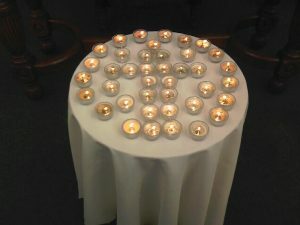 As part of the service, we were invited to come forward and light a candle in memory of someone. 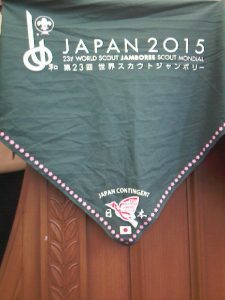 One of our Scouts took part in the 23rd World Scout Jamboree in Japan this summer. Thomas returned to tell the church about this amazing experience, and to thank us for our support. During the morning service on 18 October, he gave a very interesting presentation on this event. Thomas attended as part of a group of scouts from Northumberland, who each had to raise funds to pay for their trip. The jamboree was held at Yamaguchi, near Hiroshima, and had a theme of peace. For those attending, there were 2 years of preparation, team-building and fundraising. The trip involved a great deal of travel, with several aeroplanes, trains and coaches. The scouts enjoyed some home hospitality with a Japanese family in the city of Nara before the jamboree, and also visited Hiroshima, Tokyo and the island of Suo-Oshima during their stay in Japan. This gave them a taste of Japanese culture and cuisine. They visited zoos, museums and historic temples, and saw deer roaming the streets. They also visited a school and took part in science lessons, listened to a brass band, and helped to make ornaments to decorate a tree for a local festival. The scouts visited a peace memorial museum in Hiroshima, which is now once again a thriving city, and were given a memorial coin each. The opening ceremony with 30,000 scouts from all over the world was an overwhelming experience. Life at the jamboree was noisy, exhausting and tremendous fun. The scouts from Northumberland had the opportunity to share some of their local culture, with tea and singing hinnies, hopscotch and jigsaw puzzles, as well as sampling other cultures on show. After this trip of a lifetime, Thomas closed by enthusiastically recommending Scouting to other young boys and girls. 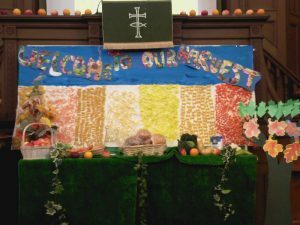 St Columba’s Church was fuller than usual for harvest festival on Sunday 4 October, with beavers, cubs, scouts, rainbows, brownies, guides and friends augmenting the congregation. 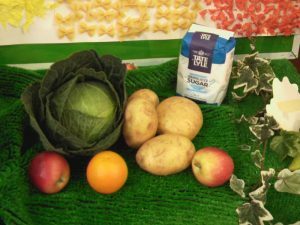 The children and young people played an active part in the service, acting out a dramatic re-telling of the parable of the sower, competing to make mashed potato, and leading prayers. As the brownies had recently been working towards their gardening badge, the occasion taken to award the badge during the service. 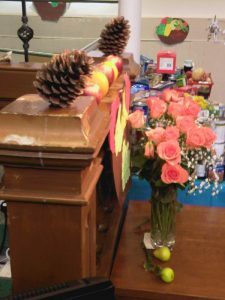 The church was beautifully decorated with fresh fruit and vegetables, and worshippers brought in tins and longer lasting food to be donated to local homelessness charity, Nite Bite, which is supported by Churches Together in North Shields. 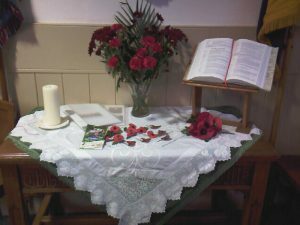 There was a bittersweet moment, as we said farewell to a church member who is moving to live nearer to family, and we reflected that the Christian life can have its challenges, just like the seed in the story of the sower. 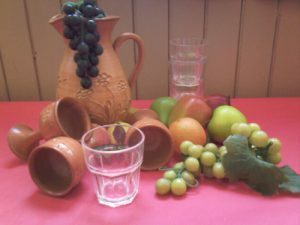 Refreshments, including a cooked breakfast, were provided in the church hall.